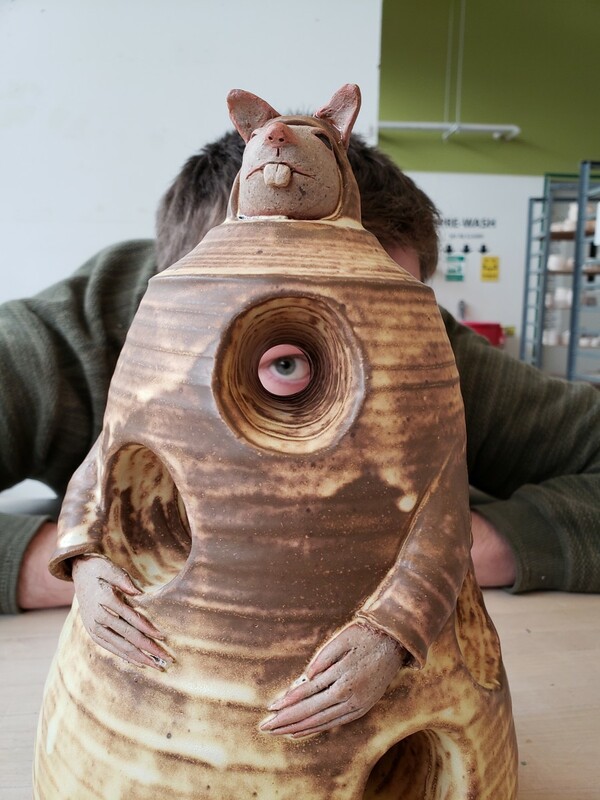 The Rulers of Aah is a ceramics exhibition featuring a series of whimsical, wheel thrown sculptures by local Madison, WI artist Riley McManus. The sculptures range in size from 6 inches to 3 feet and resemble the ruling classes from Land of Aah; a place outside of the laws of reality. Every 29 years the rulers from the 10 kingdoms get together for a summit wearing ornate, ceremonial garb to discuss current issues, trade agreements, and strengthen bonds. This series is a breakaway from functional pottery McManus has done in the past. The Rulers of Aah explores the wheel thrown vessel, and its space-inside and out. This exhibition is spirited while showing off how ceramic as a medium can combine conventional methods with unrestrained creativity. Various sculptures will be on display throughout the month of April and the full collection will be together one night only on April 26, from 6-8 at Mystery to Me, an independent bookstore, 1863 Monroe St, Madison, WI. I ndependent Bookstore Day is a one-day national party that takes place at indie bookstores across the country on the last Saturday in April. Every store is unique and independent, and every party is different. But in addition to other fun stuff, there are exclusive books and literary items that you can only get on that day. Not before. Not after. Not online. Come visit! This ticketed event is a fundraiser for the Henry Vilas Zoo. 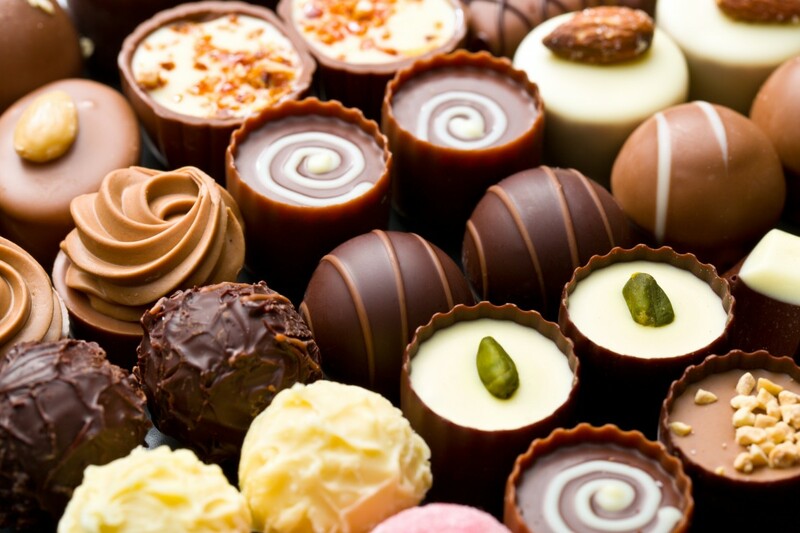 Participants receive a list of shops and restaurants from the entire length of Monroe Street that will be handing out chocolate treats ranging from truffles to frozen custard. A limited number of advance tickets are available for sale at Orange Tree Imports, 1721 Monroe Street. 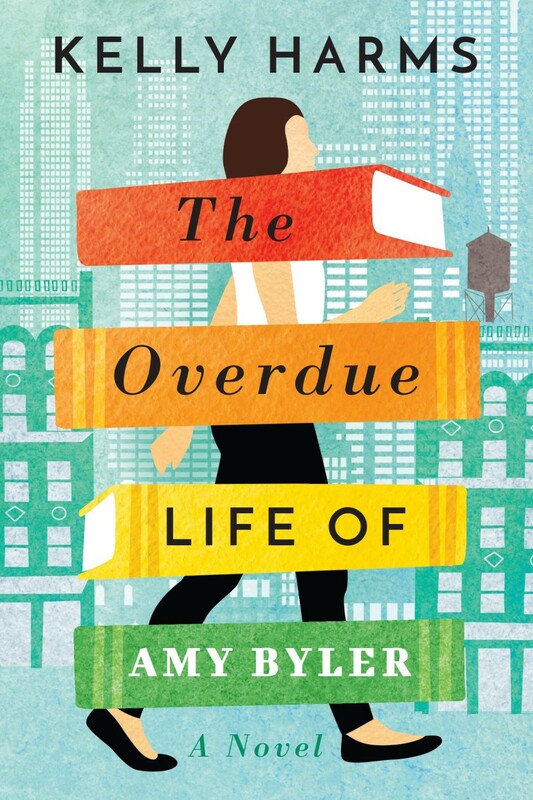 Kelly Harms - "The Overdue Life of Amy Byler"
Overworked and underappreciated, single mom Amy Byler needs a break. So when the guilt-ridden husband who abandoned her shows up and offers to take care of their kids for the summer, she accepts his offer and escapes rural Pennsylvania for New York City. Usually grounded and mild mannered, Amy finally lets her hair down in the city that never sleeps. She discovers a life filled with culture, sophistication, and—with a little encouragement from her friends—a few blind dates. When one man in particular makes quick work of Amy’s heart, she risks losing herself completely in the unexpected escape, and as the summer comes to an end, Amy realizes too late that she must make an impossible decision: stay in this exciting new chapter of her life, or return to the life she left behind. But before she can choose, a crisis forces the two worlds together, and Amy must stare down a future where she could lose both sides of herself, and every dream she’s ever nurtured, in the beat of a heart. 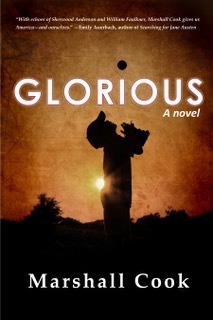 Kelly Harms (see also her author page) is an author, a mother, and a big dreamer. She lives in Madison, Wisconsin, with her sparkling son, Griffin; her fluffy dog, Scout; and her beloved Irishman, Chris. Before this midwestern life, she lived in New York, New York, and worked with many of her author-heroes as an editor at HarperCollins and then as a literary agent at the Jane Rotrosen Agency. 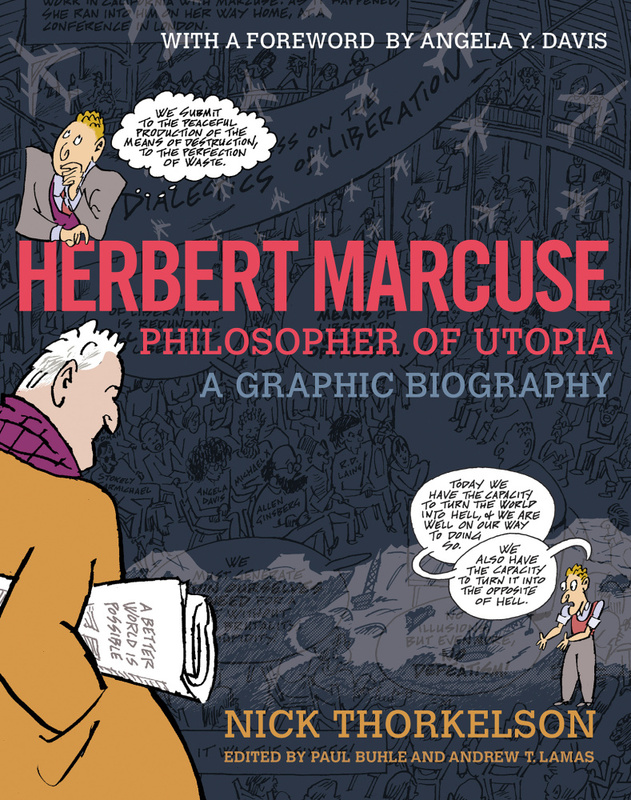 Nick Thorkelson with editor Paul Buhle -- "Herbert Marcuse - Philosopher of Utopia, A Graphic Biography"
Madison's own comic artist, Nick Thorkelson makes a return visit with a comic explaining the famous radical philosopher Herbert Marcuse. Herbert Marcuse, Philosopher of Utopia, a Graphic Biography, with a foreward by Angela Y. Davis, has been hailed widely by comic artists and Marcuse scholars. It's a beautiful comic art and even fun, as the philosopher escapes Nazi Germany, becomes Ronald Reagan's favorite enemy in California, and an idol of rebellious young poeple ("Marx-Mao-Marcuse!" from a German chant) in the 1960's. Angela David, Marcuse's former student, has a lot to say. Thorkelson, raised in the near West Side, was the first underground artist in Wisconsin, drawing for a newspaper Connections. He has returned to comic art in the last dozen years, and his twenty page comic for the Madison Reunion of 2018 will be available, free. Nick Thorkelson currenlty lives in Boston. He has done cartoons on local politics for The Boston Globe and in support of organizations working on economic justice, peace, and public health. 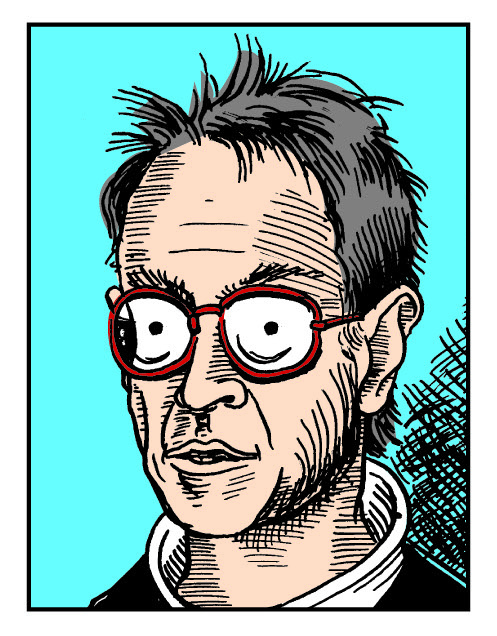 He is the co-author and/or illustrator of The Earth Belongs to the People, The Underhanded History of the USA, The Legal Rights of Union Stewards, The Comic Strip of Neoliberalism, and Economic Meltdown Funnies, and has contributed to a number of nonfiction comics anthologies. He is working on a graphic novel about the end of the Sixties, A Better World Is Possible. Nick also moonlights as a musician, animator, graphic designer, and painter. wildly rebellious counterculture comic sold at the Electric Eye book-and-bong store of local yore. Akashic Books continues its award-winning series of original noir anthologies, launched in 2004 with Brooklyn Noir. Each book comprises all new stories, each one set in a distinct neighborhood or location within the respective city. 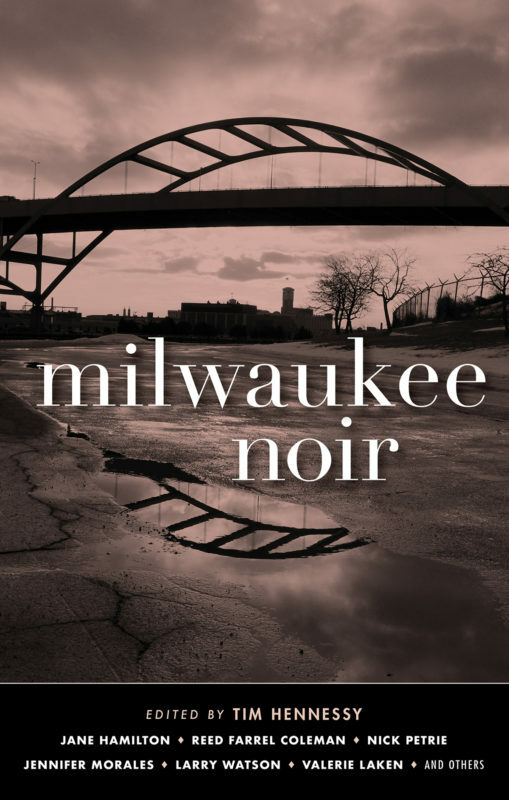 Milwaukee Noir contains brand-new stories by Jane Hamilton, Reed Farrel Coleman, Valerie Laken, Matthew J. Prigge, Shauna Singh Baldwin, Vida Cross, Larry Watson, Frank Wheeler Jr., Derrick Harriell, Christi Clancy, James E. Causey, Mary Thorson, Nick Petrie, and Jennifer Morales. Joining us will be editor Tim Hennessy, Christi Clancy, Jennifer Morales, and Vida Cross (with possibly more to come)! "Presently, Milwaukee is going through a renaissance—abandoned factories being converted to condos, craft breweries and distilleries pushing out corner taverns—yet at the same time it is among the most segregated and impoverished big cities in the country. The gentrification of neighborhoods outside of downtown bear the impact of twentieth-century redlining efforts, forcing residents out due to housing demand, adding fuel to the affordable-housing crisis. Such an environment and atmosphere make excellent fodder for noir fiction . . . The book you’re holding is the first of its kind—a short fiction collection about Milwaukee, by writers who’ve experienced life here. The crime/noir genre at its best can be one of the purest forms of social commentary. I’ve gathered contributors who can tell not just a fine story, but who can write about the struggles and resilience of the people who live here . . . I’m honored to compile a body of work that represents what I love, and fear, about Milwaukee. I love my city’s lack of pretension; its stubbornness and pride in the unpolished corners. I fear that my city faces an uncertain future—that as it becomes more divided it may push our best and brightest to find somewhere else to shine." 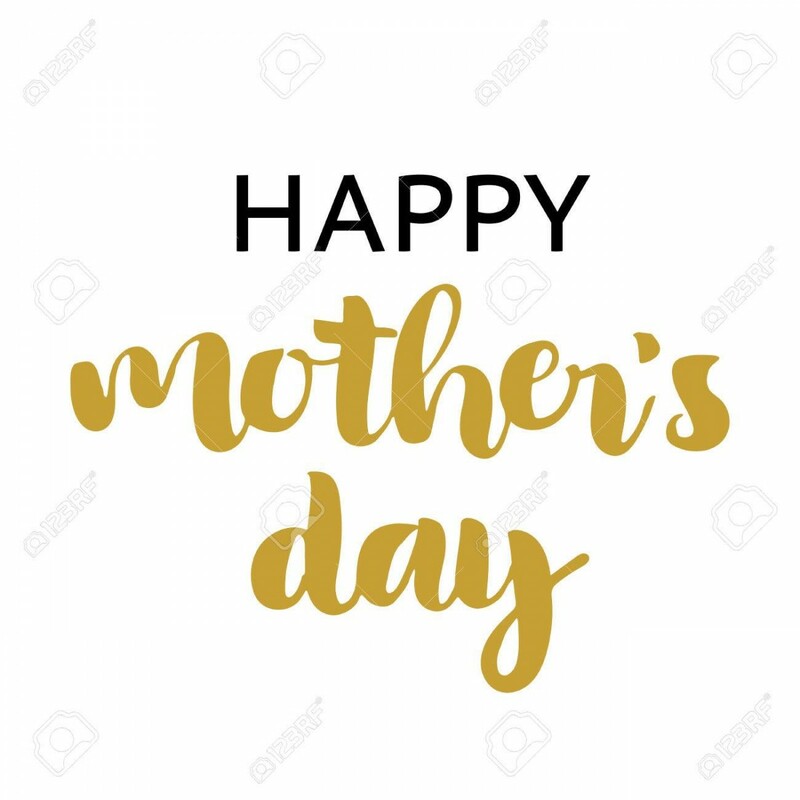 Mystery to Me Bookstore will be closed all day for Mother's Day. We will reopen on Tuesday, May 14th, 10 am! Doug Moe interviews author Patricia Skalka discusses her newest Door County mystery: "Death By the Bay"
Join us for a rousing evening with local journalist Doug Moe interviewing author Patricia Skalka bout her newest Door County Mystery! Is a mysterious medical institute pursuing a miracle cure—or covering up a heartless con? 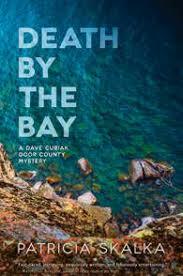 The Dave Cubiak Door County Mysteries pit a former troubled Chicago cop against a roster of clever killers on the Door County Peninsula in the heart of the Midwest. Set against a backdrop of stunning natural beauty, the series kicks off with Death Stalks Door County and continues with Death at Gills Rock and Death In Cold Water. Death by the Bay is the fourth book in the series. Skalka turned to fiction following a successful career in nonfiction. Her many credits include: Staff Writer for Reader’s Digest, freelancer, ghost writer, writing instructor, and book reviewer. Skalka is president of the Sisters in Crime Chicagoland Chapter and a member of several professional organizations, including The Authors Guild of America, Mystery Writers of America, and Society of Midland Authors. She lives in Chicago and Door County WI. Doug Moe Interviews Marshall Cook about "Glorious"
Creative writing professor at UW-Madison, Marshall Cook is the author of several nonfiction books on various topics, and a new series of light mysteries, the Monona Quinn mysteries. 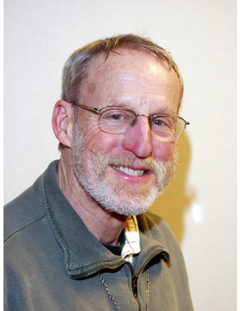 Marshall J. Cook taught for the University of Wisconsin-Madison for thirty years and often speaks at conferences nationwide. He has published several books on stress management and has been a guest on Oprah to discuss the topic. Marshall edits Extra Innings, an online newsletter for writers. He has authored thirty books and hundreds of magazine articles. Marshall holds his BA in creative writing and his MA in communications from Stanford University. He has been married to Ellen since 1968, and they have one son, Jeremiah. When not writing, Marshall likes to read, jog, lift weights, and talk back to the television (not all at the same time). He is a passionate minor league baseball fan, drives the back roads, and eats in small town cafes. 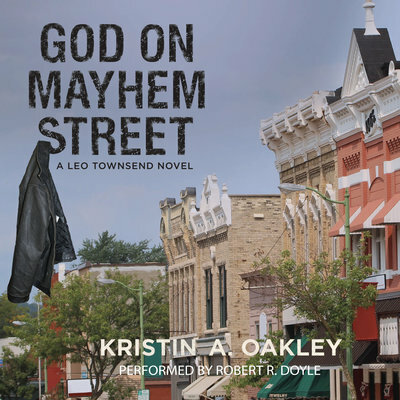 Kristin Oakley's two books have been performed by American Players Theatre actor Rob Doyle into audio books. They will be at Mystery to Me Bookstore to discuss the production process and the books. Rob Doyle will read from the books, and there will be time for questions. New to audio books? Check out Libro.fm! 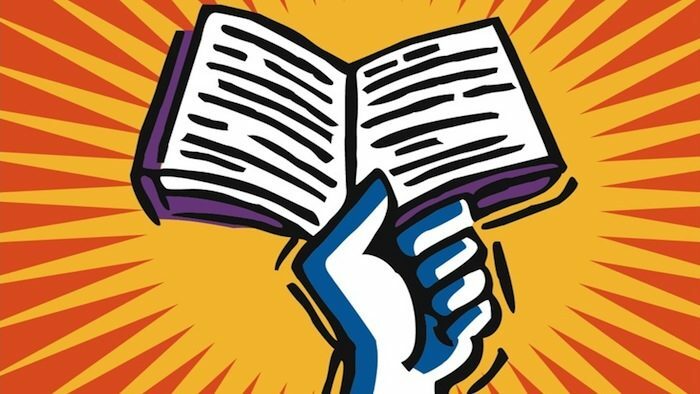 Libro.fm partners with independent booksellers: find a local bookstore, start a membership, and get 3 audiobooks for the price of 1. All is well explained on the Libro.fm website. For decades, the small town of Carpe Diem, Illinois has quietly unschooled its children, eschewing tests and classrooms for real-life experiences. Now, long-smoldering political feuds and deep personal secrets threaten to explode. 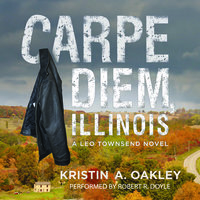 When her mother is hospitalized in Carpe Diem after an auto accident, teenager Tali Shaw, the daughter of a powerful state senator, finds herself at the heart of a vicious conspiracy to bring Carpe Diem down. Can prize-winning Chicago Examiner reporter Leo Townsend overcome his own demons and expose those behind the scheme before it's too late? 8:30 am --- Start Walking! 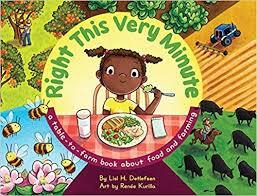 Children's Author Lisl Detlefsen reads "Right This Very Minute" and "1,2,3 Jump!" What's that you say? You're hungry? Right this very minute? Then you need a farmer. You have the stories of so many right here on your table! From what to wear (a bathing suit, of course!) 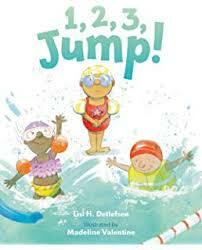 to what to expect (no, your teacher will not be a mermaid), 3, 2, 1 Jump! covers the what if’s and how to’s of getting in the pool for the first time. Lisl Detlefsen is a Wisconsin author of a growing number of award-winning picture books including If You Had a Jetpack and Time for Cranberries. 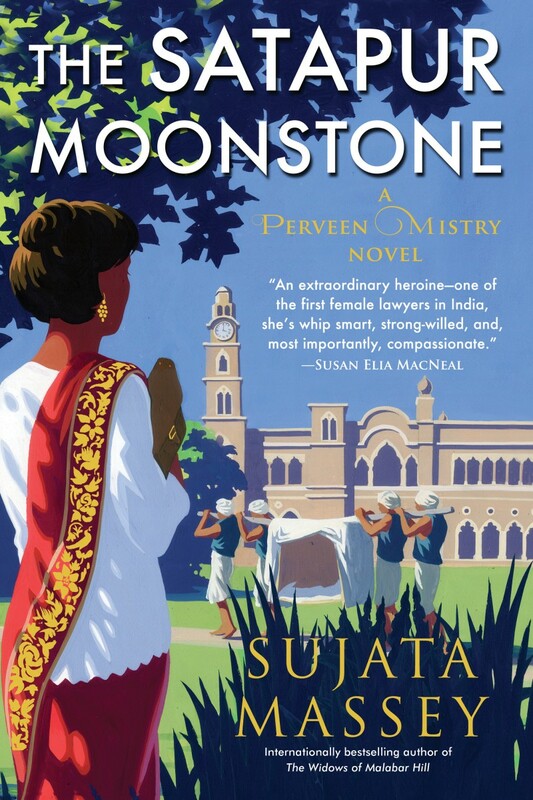 Sujata Massey discusses her new book "The Satapur Moonstone"
Please join us in welcoming Sujata Massey to Mystery to Me. Sujata Massey was born in England to parents from India and Germany, grew up in St. Paul, Minnesota, and lives in Baltimore, Maryland. She was a features reporter for the Baltimore Evening Sun before becoming a full-time novelist. Her novels have won the Agatha and Macavity awards and been finalists for the Edgar, Anthony, and Mary Higgins Clark prizes. 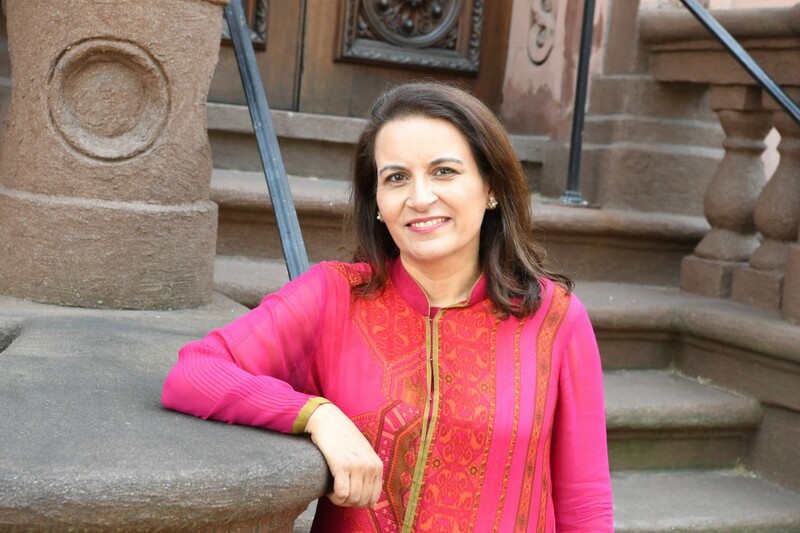 The first Perveen Mistry novel, The Widows of Malabar Hill, was an international bestseller. Visit her website at sujatamassey.com. India, 1922: It is rainy season in the lush, remote Sahyadri mountains, where the princely state of Satapur is tucked away. A curse seems to have fallen upon Satapur’s royal family, whose maharaja died of a sudden illness shortly before his teenage son was struck down in a tragic hunting accident. The state is now ruled by an agent of the British Raj on behalf of Satapur’s two maharanis, the dowager queen and her daughter-in-law. The royal ladies are in a dispute over the education of the young crown prince, and a lawyer’s counsel is required. However, the maharanis live in purdah and do not speak to men. Just one person can help them: Perveen Mistry, Bombay’s only female lawyer. Perveen is determined to bring peace to the royal house and make a sound recommendation for the young prince’s future, but she arrives to find that the Satapur palace is full of cold-blooded power plays and ancient vendettas. Too late, she realizes she has walked into a trap. But whose? And how can she protect the royal children from the palace’s deadly curse? At the University of Wisconsin-Madison, Dr. Joshua Mezrich creates life from loss, transplanting organs from one body to another. 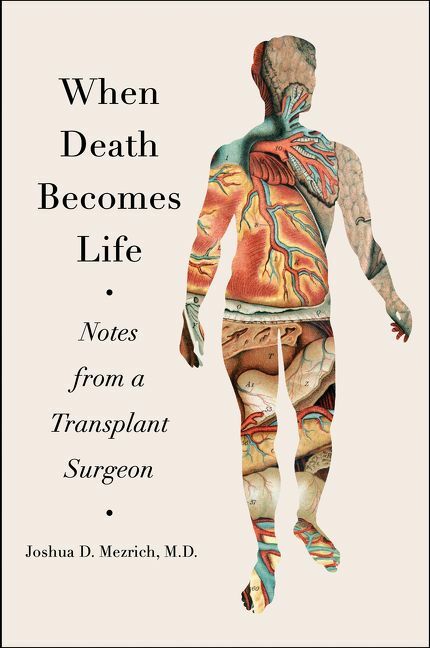 In this intimate, profoundly moving work, he illuminates the extraordinary field of transplantation that enables this kind of miracle to happen every day. When Death Becomes Life is a thrilling look at how science advances on a grand scale to improve human lives. Betsy Draine & Michael Hinden: "The Death of Achill Island"
Art historian Nora Barnes and her husband, Toby Sandler, are visiting the west of Ireland for a family reunion. 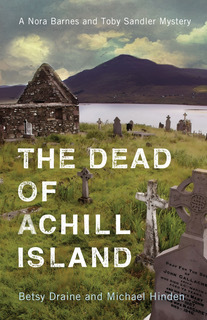 During a morning walk through a deserted village on Achill Island, Nora stumbles upon a body—her notorious uncle Bert. When a clue singles out her mother as the likely suspect, Nora and Toby are on the case to clear her name. Whether in a barroom brawl or the sauna of a swingers’ club, Toby has Nora’s back. As they search, the dead of Achill seem to speak from graveyards, ruined churches, and megalithic tombs. A second murder makes it all the more difficult to connect the dots. And when Nora and Toby become the next targets, their own survival is at stake. 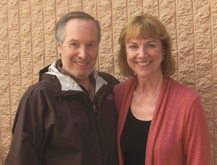 Betsy Draine and Michael Hinden are coauthors of Murder in Lascaux, The Body in Bodega Bay, and Death on a Starry Night, the first three mystery novels featuring Nora Barnes and Toby Sandler. They also coauthored the memoir A Castle in the Backyard: The Dream of a House in France and translated The Walnut Cookbook by Jean-Luc Toussaint. They are professors emeriti of English at the University of Wisconsin–Madison. David Maraniss - "A Good American Family"
A Wisconsin Book Festival event! 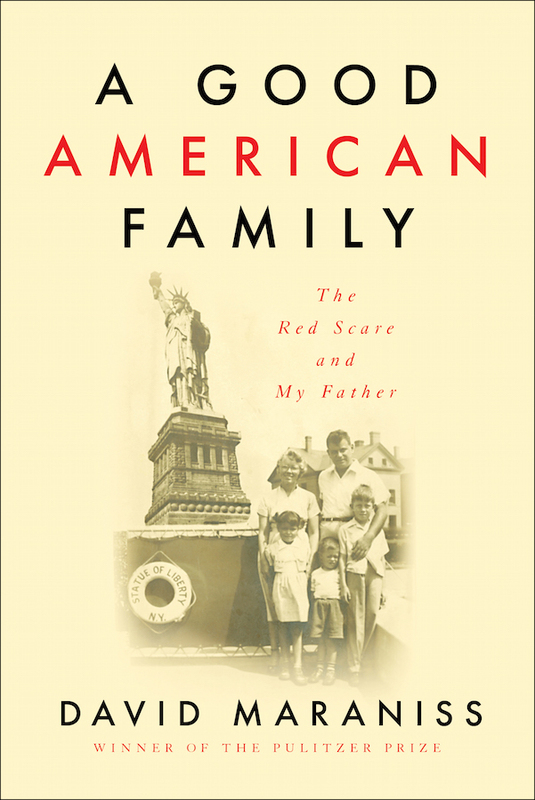 A Good American Family captures a time of fear, paranoia, and injustice—and at the heart is the story of Maraniss’s father. Elliott Maraniss, a World War II veteran who had commanded an all-black company in the Pacific, was spied on by the FBI, named as a communist by an informant, called before the House of Un-American Activities Committee, fired from his newspaper job, and blacklisted for five years. Ultimately, though, this is an optimistic book. Maraniss’s father never lost faith in America, and he was eventually vindicated. Born in Detroit, David Maraniss is an associate editor at The Washington Post. Maraniss is a Pulitzer Prize–winning journalist and bestselling author of First in His Class: A Biography of Bill Clinton; Rome 1960: The Olympics that Stirred the World; Barack Obama: The Story; Clemente: The Passion and Grace of Baseball’s Last Hero; They Marched into Sunlight: War and Peace, Vietnam and America, October 1967; and When Pride Still Mattered: A Life of Vince Lombardi, which was hailed by Sports Illustrated as “maybe the best sports biography ever published.” He lives in Washington, DC and Madison, Wisconsin. Student read from their work. Come honor one of your favorite poets and exercise your memory muscle at Madison’s first ever “A Night to Recite” on Thursday, June 6, starting at 7:00 pm at Mystery to Me Bookstore! All lovers of poetry and spoken word are invited to memorize a favorite poem (not one’s own) to recite to a supportive audience. Refreshments and fellowship will be served. Participants are encouraged to sign up in advance by emailing: night2recite@gmail.com. Anyone is invited to take part - make sure you memorize the poem beforehand. Need inspiration for the event? We have a wonderful selection of poetry in our store. From Ovid to Mary Oliver to Rumi to local poets such as Andrea Potos or Steve himself- take your pick. Make sure you ask our booksellers for a recommend if you are looking for inspiration! Cara Black Celebrates 20th Anniversary of the Aimee Leduc series! 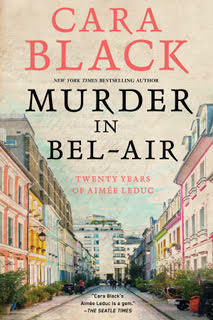 New book: "Murder in Bel-Air"
Cara Black is celebrating the 20th Anniversary of the Aimee Leduc investigations at Mystery to Me Bookstore, AND she will introduce her new book in the series, Murder in Bel-Air. Parisian private investigator Aimée Leduc is about to go onstage to deliver the keynote address at a tech conference that is sure to secure Leduc Detective some much-needed business contracts when she gets an emergency phone call from her daughter’s playgroup: Aimée’s own mother, who was supposed to pick Chloe up, never showed. Abandoning her hard-won speaking gig, Aimée rushes to get Chloe, annoyed that her mother has let her down yet again. But as Aimée and Chloe are leaving the playground, Aimée witnesses the body of a homeless woman being wheeled away from the neighboring convent, where nuns run a soup kitchen. The last person anyone saw the dead woman talking to was Aimée’s mother, who has vanished. Trying to figure out what happened to Sydney Leduc, Aimée tracks down the dead woman’s possessions, which include a huge amount of cash. What did Sydney stumble into? Is she in trouble? 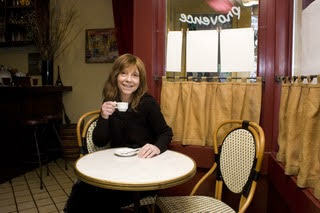 Cara Black is the author of nineteen books in the New York Times bestselling Aimée Leduc series. She has received multiple nominations for the Anthony and Macavity Awards, and her books have been translated into German, Norwegian, Japanese, French, Spanish, Italian, and Hebrew. She lives in San Francisco with her husband and son and visits Paris frequently. Find more information on her author page. Matt Goldman discusses his new mystery, "The Shallows"
In the words of Lee Child on Gone to Dust, “I want more of Nils Shapiro.” New York Times Best Selling author and Emmy Award-winning writer Matt Goldman obliges by bringing the Minneapolis private detective back for another thrilling, stand-alone adventure in The Shallows. A prominent lawyer is found dead, tied to his own dock by a fishing stringer through his jaw, and everyone wants private detective Nils Shapiro to protect them from suspicion: The unfaithful widow. Her artist boyfriend. The lawyer’s firm. A polarizing congressional candidate. A rudderless suburban police department. Even the FBI. Nils and his investigative partners illuminate a sticky web of secrets and deceit that draws national attention. But finding the web doesn’t prevent Nils from getting caught in it. Just when his safety is most in peril, his personal life takes an unexpected twist, facing its own snarl of surprise and deception. 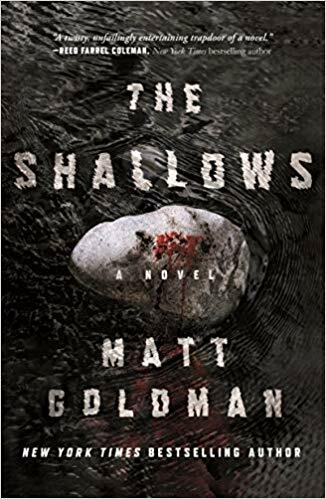 In The Shallows, Goldman delves into the threat of dark history repeating itself while delivering another page-turner with his signature pace, humor, and richly drawn characters. Also a television writer, Matt has been nominated for a Writers Guild Award and has won an Emmy Award. 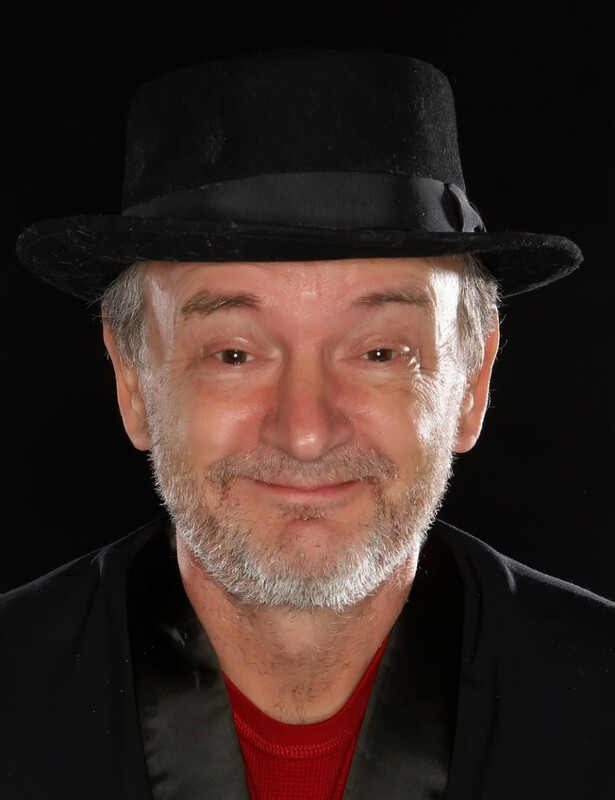 His credits include Seinfeld, Ellen, The New Adventures of Old Christine, and Dirk Gently's Holistic Detective Agency. He lives in Minneapolis. 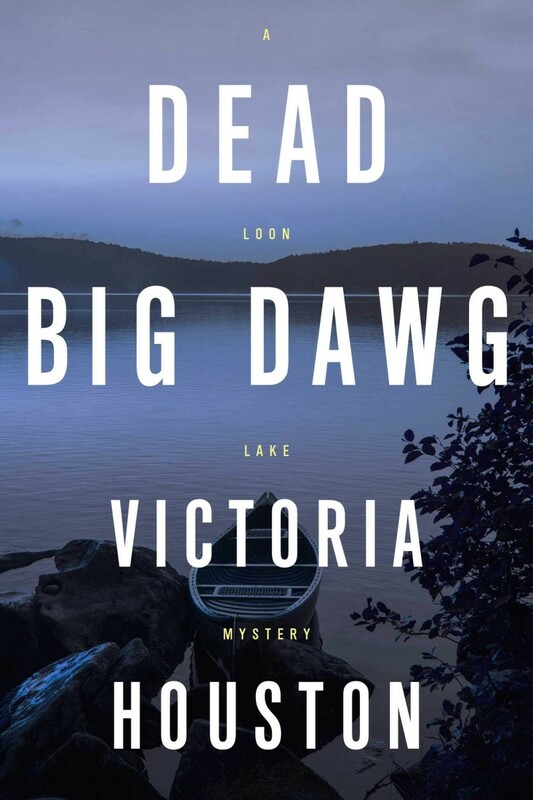 Victoria Houston: "Dead Big Dawg"
When the bodies of a wealthy Chicago industrialist and his wife are discovered in their summer home at the same time that a local lawyer disappears, life becomes complicated for Loon Lake Chief of Police Lew Ferris. Relying on the forensic dental expertise of her close friend and acting coroner, Doc Osborne, Lew soon finds the investigations are even more complicated than she thought when a rarely used computer belonging to a local sawmill operation is taken over by foreign hackers. Add to that the family issues facing both Lew and Doc, and this Northwoods summer becomes both hot and dangerous. Engaging and fast-paced, Dead Big Dawg is a clever mystery perfect for fans of Lee Goldberg and Janet Evanovich. "I was born and raised in Rhinelander, WI, in the heart of the fishing culture that backgrounds my mysteries. I grew up fishing for walleye and bluegills and muskie - and when I turned fifty, I learned to fly fish! Over the years, I have published 24 books – a fact that surprises the hell out of me as I never finished college." 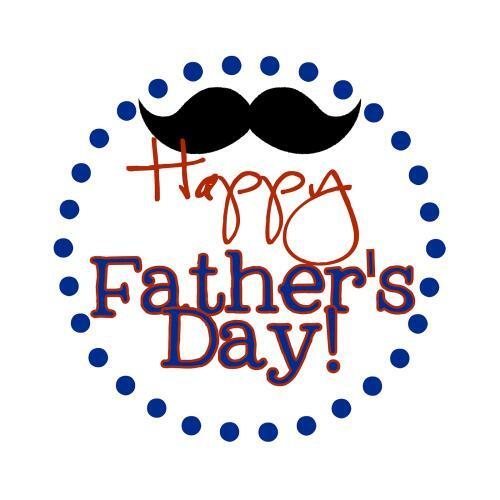 Mystery to Me Bookstore will be closed for Father's Day. We will reopen on Tuesday, June 18th, 10 am! 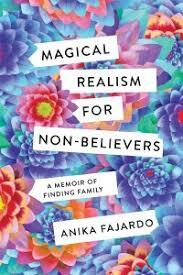 Anika Fajardo discusses "Magical Realism for Non-Believers - A Memoir of Finding Family"
A young woman from Minnesota searches out the Colombian father she’s never known in this powerful exploration of what family really means. He loved Colombia too much to leave it. The explanation from her Minnesotan mother was enough to satisfy a child’s curiosity about her missing father. But at twenty-one, Anika Fajardo wanted more. She wanted to know her father better and to know what kind of country could have such a hold on him. And so, in 1995, Fajardo boarded a plane and flew to Colombia to discover a birthplace that was foreign to her and a father who was a stranger. There she learns that sometimes, no matter how many pieces you find, fitting together a family history isn’t easy. With her tentative entry into her father’s world, Fajardo steps on a path that will take her in surprising directions, toward unsuspected secrets about her family and herself. Set against the changing backdrops of Colombia and the American Midwest, her journey carries her back to the 1970s and the beginnings of her parents’ broken marriage, and forward to the present day, where the magic and reality of love and heartache—and her own experience as a parent—await her. The way is strewn with obstacles, physical and metaphysical—from the perils encountered on a mountain road in Colombia to the death of a loved one to the birth of her own child—but the toughest to negotiate are the shifting place of memory and truth while coming to understand her place in her family and in the world. Vivid and heartfelt in the telling, Fajardo’s story is powerfully compelling in its bridging of time and place and in its moving depiction of self-transformation. Family, she comes to find, is where you find it and what you make of it. Anika Fajardo was born in Colombia and raised in Minnesota. Her writing has been published in the anthologies Brief Encounters: A Collection of Contemporary Nonfiction and Sky Blue Water: Great Stories for Young Readers (Minnesota, 2016). She has earned awards from the Jerome Foundation, the Minnesota State Arts Board, and the Loft Literary Center. The manuscript for Magical Realism for Non-Believers was a finalist for the Bakeless Literary Prize in Creative Nonfiction. She lives in Minneapolis. In addition to discussing his mystery series, John will share with us his "Confessions of a CNN Journalist" and give us a bit of a preview into his forthcoming book Fake. His mystery novels Troubled Water and Bullet in the Chamber will be for sale. 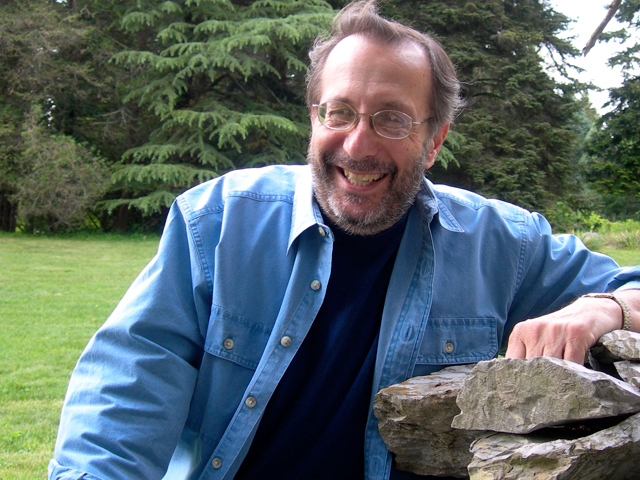 John DeDakis (find his author page via this link) grew up in La Crosse and is a former White House Correspondent, former Senior Copy Editor for CNN's "The Situation Room with Wolf Blitzer," and author of four mystery suspense-novels featuring a strong female protagonist. During his award-winning career in journalism (25 years at CNN), he interviewed such luminaries as Alfred Hitchcock, Jimmy Carter and Ronald Reagan. He taught journalism at The University of Maryland - College Park, and regularly leads writing workshops at Politics and Prose and nationwide. 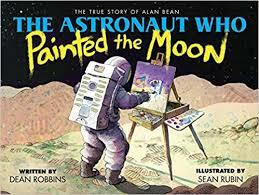 Dean Robbins reads "The Astronaut Who Painted the Moon"
Timed to the 50th anniversary of Apollo 11 and Apollo 12, The Astronaut Who Painted the Moon: The True Story of Alan Bean is a nonfiction children’s picture book about the only artist to travel in outer space. Alan Bean is both a brave astronaut and a painter who expresses his feelings through art. After the Apollo 12 mission, he pursues a one-of-a-kind dream: painting the magic and mystery of his trip to the moon. Dean Robbins’ presentation for families shows how an airplane-obsessed boy became a daring pilot, then one of the first astronauts in the United States space program, and finally a sensitive painter who showed what it felt like to walk on another world. It explores the way artists work and encourages children to nurture their own creativity. Robbins will also explain how he drew on his journalism background to interview Bean for The Astronaut Who Painted the Moon. Dean Robbins is the author of the children’s picture books Two Friends: Susan B. Anthony and Frederick Douglass (Scholastic); Miss Paul and the President: The Creative Campaign for Women’s Right to Vote (Knopf); Margaret and the Moon: How Margaret Hamilton Saved the First Lunar Landing (Knopf); and The Astronaut Who Painted the Moon: The True Story of Alan Bean (Scholastic). 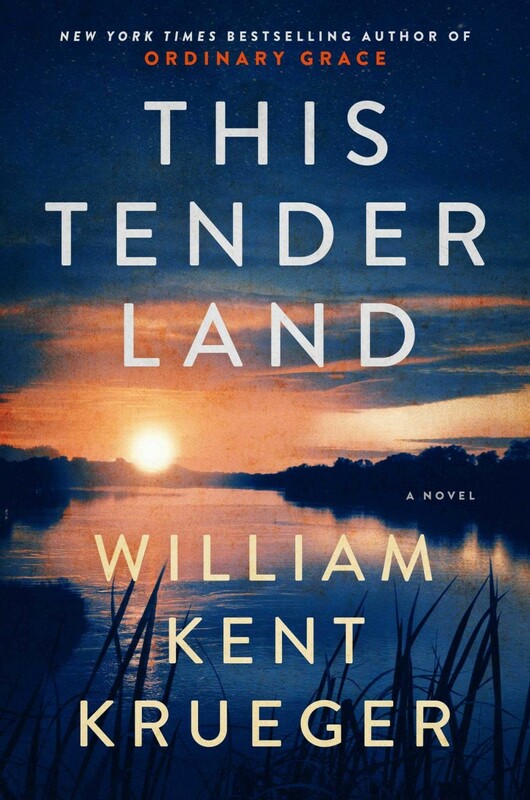 His books have been featured on National Public Radio and praised in The New York Times, USA Today, Smithsonian, and other publications, along with receiving starred reviews in Publishers Weekly, Booklist, and Kirkus Reviews. The books have also been chosen for best-of-the-year honors by Smithsonian, Space.com, The Raleigh News & Observer, the Cooperative Children’s Book Center, the Planetary Society, the Children’s Book Council, and the Amelia Bloomer List, among others. Two Friends was adapted as a short film by Weston Woods Studios, with narration by Dion Graham of The Wire. An award-winning journalist, Robbins was the editor in chief of Isthmus and a nationally syndicated arts critic. 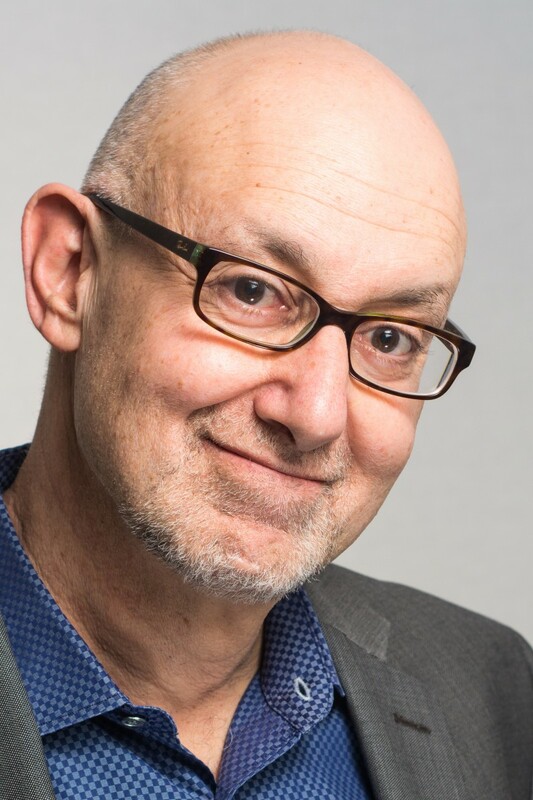 He has contributed to USA Today, Space.com, The Village Voice, the Grammy Awards, Wisconsin Public Radio, and dozens of other media outlets. 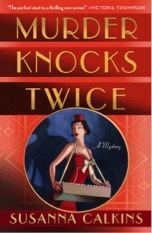 Susanna Calkins - "Murder Knocks Twice"
The first mystery in Susanna Calkins’ captivating new series takes readers into the dark, dangerous, and glittering underworld of a 1920s Chicago speakeasy! Susanna Calkins writes historical mysteries. Her first series, the award-winning Lucy Campion mysteries, is set in 17th century London. The first book in the series is A Murder at Rosamond's Gate. Susanna holds a PhD in history and works at Northwestern University. She was born and raised in Philadelphia and currently lives in the Chicago area with her husband and two sons. 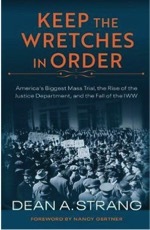 Dean Strang, "Keep the Wretches in Order"
In the first legal history of this federal trial, Dean Strang shows how the case laid the groundwork for a fundamentally different strategy to stifle radical threats, and had a major role in shaping the modern Justice Department. As the trial unfolded, it became an exercise of raw force, raising serious questions about its legitimacy and revealing the fragility of a criminal justice system under great external pressure. 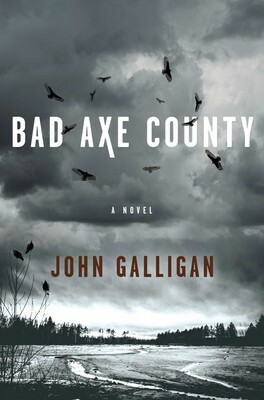 John Galligan - "Bad Axe County"
Dennis Lehane meets Megan Miranda in this tense, atmospheric thriller about the first female sheriff in rural Bad Axe County, Wisconsin, as she searches for a missing girl, battles local drug dealers, and seeks the truth about the death of her parents twenty years ago—all as a winter storm rages in her embattled community. If Joseph Conrad had really wanted to find the heart of darkness, he’d have looked in Bad Axe County. Lurking in the isolated coulees at the edge of the Mississippi River are some of the meanest, foulest, cruelest hearts imaginable, and John Galligan evokes them with all the intensity of a mad poet. But in county sheriff Heidi Kick, a woman chipped and broken on every edge, Galligan offers a righteous force in opposition. Set in a landscape of the salvage yards, two-bit taverns, and blink-and-you’ll miss-’em small towns of Wisconsin’s Driftless Area, Bad Axe County is a dark beauty of a novel, nothing less than a mythic conflict between flawed heroes and gargantuan evil. It's not always an easy battle to watch, but I guarantee you won't look away. 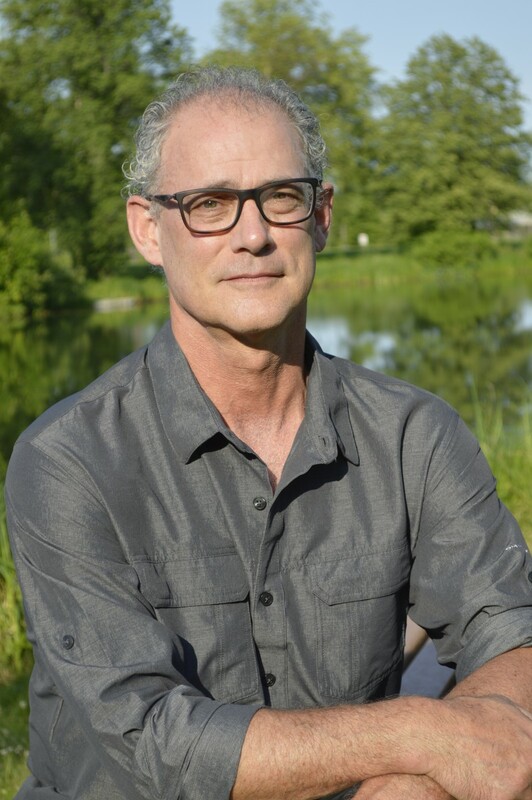 John Galligan’s career as a novelist began with the critically acclaimed Red Sky, Red Dragonfly based on his experiences living, teaching, and traveling in Japan. He subsequently became best known for his groundbreaking and celebrated series of mysteries featuring a nomadic fly fisherman: The Nail Knot, The Blood Knot, The Clinch Knot, and The Wind Knot. Read more about John on his website. William Kent Krueger - "This Tender Land"
1932: Located on the banks of the Gilead River in Minnesota, Lincoln School is home to hundreds of Native American boys and girls who have been separated from their families. The only two white boys in the school are orphan brothers Odie and Albert who, under the watchful eyes of the cruel superintendent Mrs. Brickman, are often in trouble for misdeeds both real and imagined. The two boys’ best friend is Mose, a mute Native American who is also the strongest kid in school. And they find another ally in Cora Frost, a widowed teacher who is raising her little girl, Emmy, by herself. When tragedy strikes down Mrs. Frost, it’s the catalyst for a series of events that will send Odie, Albert, and Mose to rescue Emmy and flee down the river in a canoe, heading for the mighty Mississippi, leaving a dead body in their wake. Soon they are wanted by the law and they know that Mrs. Brickman will stop at nothing to track them down for dark reasons of her own. Find out more about William Kent Krueger on his author page. 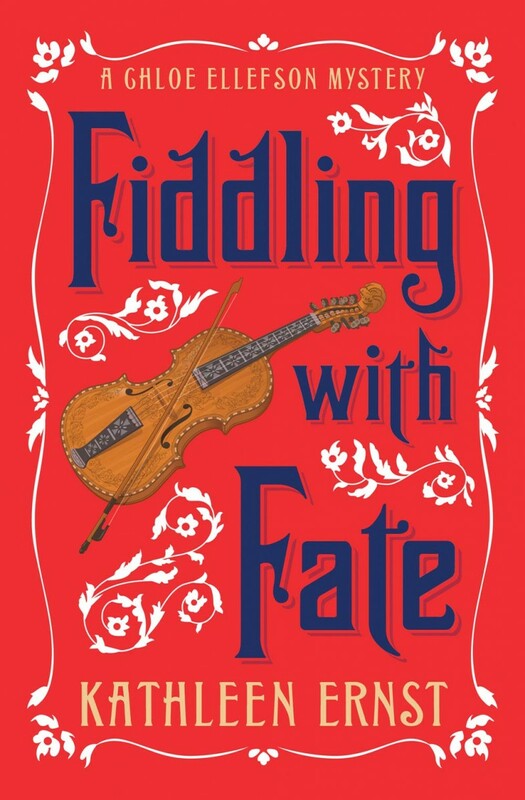 Kathleen Ernst - "Fiddling with Fate"
After her mother's unexpected death, curator Chloe Ellefson discovers hidden antiques that hint at family secrets. Determined to find answers, Chloe accepts a consultant job in Norway, her ancestors' homeland. She's thrilled with the opportunity to explore Hardanger fiddle and dance traditions . . . and her own heritage. Once their plane lands, however, Chloe and her fiancé, cop Roelke McKenna, encounter only disharmony. Chloe's research reveals strong women and the importance of fiddle music in their lives. But folklore warns against "the devil's instrument" and old evils may yet linger among the fjords and mountains. As Chloe fine-tunes her search for the truth, a killer's desire to stop her builds to a deadly crescendo. 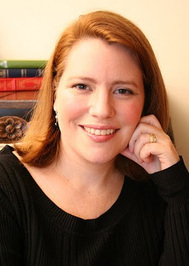 Emmy Award-winning writer Kathleen Ernst is the bestselling author of thirty-seven published mysteries, historical fiction, and non-fiction history books for adults and young readers. 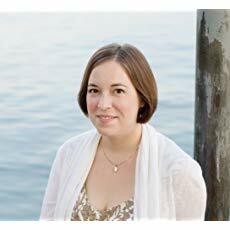 Read more about Kathleen Ernst on her author page. NB Meeting location change: ask group lead Catherine Streiffer for new location.